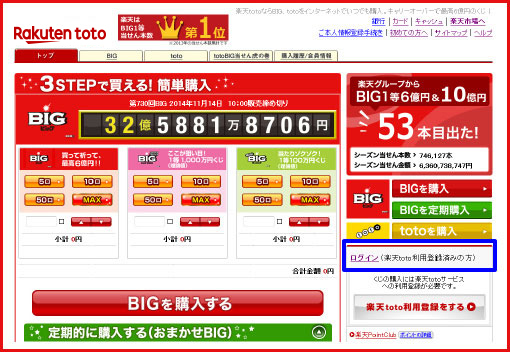 Please Login with Rakuten Member User Id you already have. 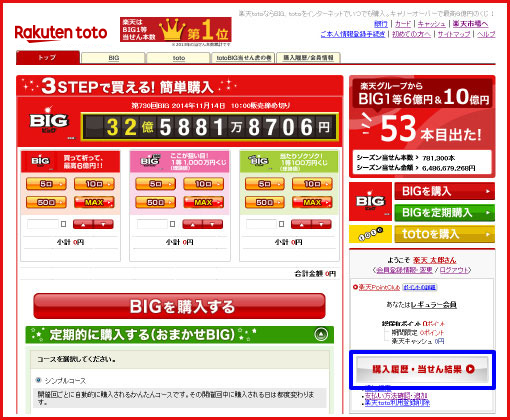 If you dont have rakuten membership please register from here. Once you do the login, Highligheted button of history page will appear. 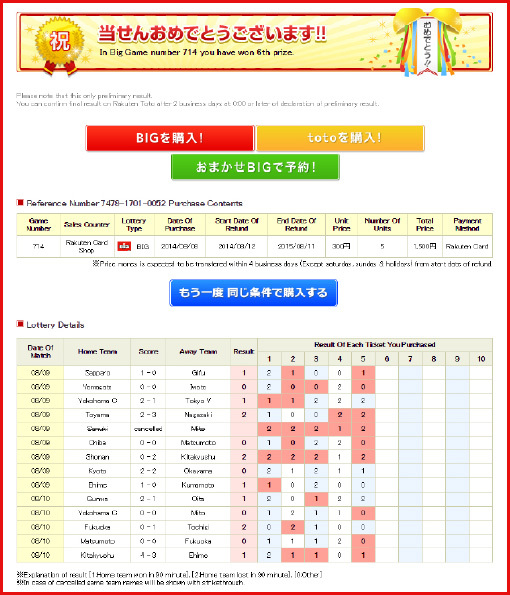 In History Detail you can see result of each match as shown.